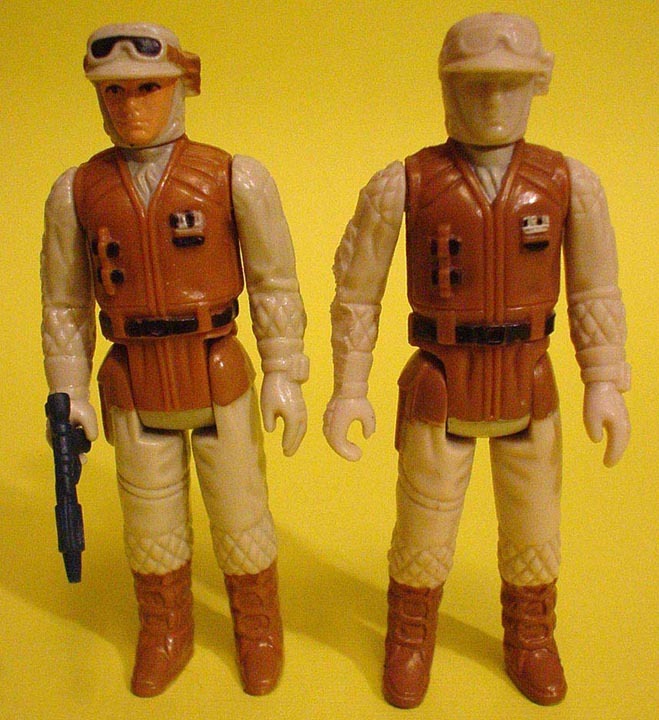 The action figure prototype shown above is a first shot for the Rebel Soldier from Kenner's Empire Strikes back line. Above we see a rear view of the figure. Although copyright dates and country of origin markings are present, the figure can still be considered a first shot given the absence of spray ops on the head. The final image shows a comparison photo with a production quality figure. It's not readily apparent, but the Rebel Soldier's arm has been widdled down on the outside areas for some unknown reason.